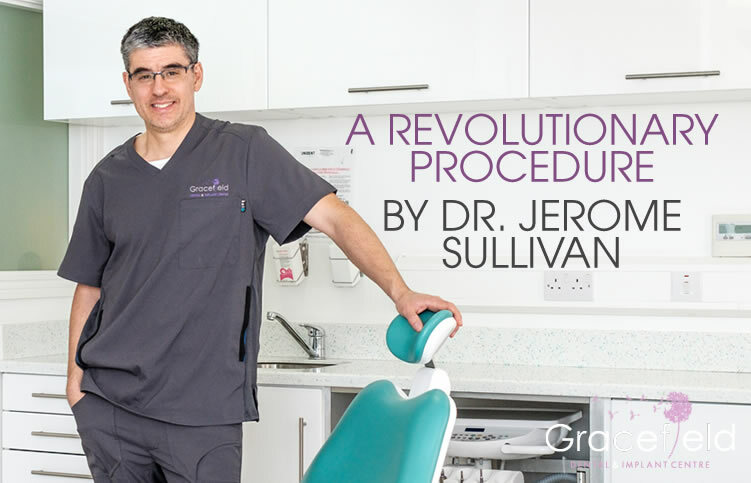 For the past ten years, Dr Jerome Sullivan has provided a bespoke dental implant service for his patients at Gracefield Dental which is one of the most incredible and useful advances in modern dentistry. Aided by the latest equipment and clinical techniques, Dr Jerome and his experienced team lead and support his patients on this life changing journey. In simple terms, a dental implant is a high-tech artificial replacement for a tooth’s root made from titanium. These titanium roots are placed directly into the jawbone where, over time, they fully integrate into your natural bone structure. The end result is a tooth that feels, looks and functions like your own natural teeth. Trained in minimally invasive techniques based on proven biological principles, Dr Jerome follows the teachings of the globally renowned implant pioneer Professor Eduardo Anitua (BTI). 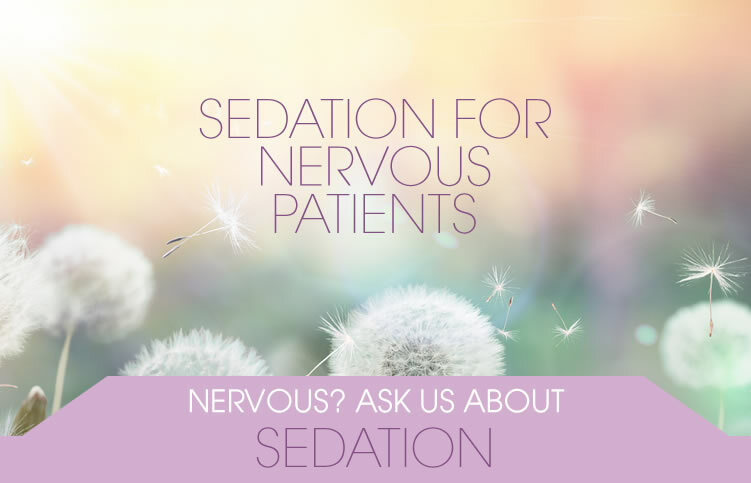 The sedation takes away anxiety and causes temporary amnesia so you will have little or no recollection of the treatment performed. You may, however, feel slightly drowsy or sleepy but this will wear off throughout the day. When it comes to improving a patient’s life through a dental implant, no case is too big or too small for Dr Jerome. His philosophy is simple: always try to exceed his patient’s expectations. In 2008, Dr Jerome achieved The Implant Diploma from the Royal College of Surgeons (UK). In addition to this prestigious qualification, he was awarded an inaugural gold medal from the Royal College for the quality of his clinical cases. Today, he still stands alone as the only diplomat to have received this great honour. Through word of mouth and a consistently high standard of results, Dr Jerome has gained a reputation as one of Ireland’s leading dental implant specialists and receives referrals from dentists and patients throughout the country. Single Implant replacement of posterior tooth- €2000. Single Implant replacement of anterior tooth- €2100. You can find a full list of our fees here. Implant placement is a relatively minor oral surgical procedure performed under local anaesthesia, or oral sedation, in sterile conditions. The process begins with an initial consultation where we ensure your mouth is healthy and capable of receiving an implant. If the underlying bone is found to be deficient a number of options are available for bone regeneration which is discussed below. The integration period usually lasts 2 months allowing for osseointegration, which is when the titanium screw bonds (integrates) with your jaw bone. Patient’s typically wear a denture during this healing period. Once integrated the implant(s) are uncovered and fitted with a single crown, a bridge or removable overdenture that is clipped to the implants. Although implants do not decay and have a more than 98% success rate when placed in the correct candidates, they still need to be cleaned and reviewed as part of a regular dental maintenance programme. Through continuous investment in our people and the latest technology, Gracefield Dental is always on the cutting edge of advanced dental treatment. The latest technique we have introduced to the practice is Endoret® (prgf®) technology which we believe will revolutionise the way we treat and care for our patients. WHAT IS ENDORET® (PRGF®) TECHNOLOGY? Dr Sullivan is one of only a handful of dentists certified to use this incredibly progressive technique in the whole of Ireland. Endoret® (prgf®) technology isolates these proteins that speed up regeneration from the patient's blood which is then applied to the treatment area. Improved and accelerated integration of soft and hard tissues. For more information about Endoret® (prgf®) technology contact our Gracefield dental team here. You can also visit the official Endoret® (prgf®) website here. At Gracefield Dental, Dr Jerome’s dental implant treatments are all meticulously planned using the latest diagnostic aids. This includes our very own on-site CT scanner. This state of the art piece of equipment creates extremely precise, three dimensional images when combined with the most up to date digital software. Both convenient and low dose, having our own CT scanner means no unnecessary journeys for our patients and no compromise on patient safety. Improved appearance and confidence that comes with a complete natural smile. Caring for you dental implants is much the same as looking after your natural teeth. And though the implant itself is durable and not subjected to decay and erosion, the area around it is still susceptible to effects of plaque and other bacteria, so it’s important that you continue seeing your dentist on a regular basis. As a rule, implants are suitable for almost all adults and younger people, provided their jaws have stopped growing. However, certain lifestyle choices- such as smoking or heavy drinking- or those with a history of severe gum problems may not be ideal candidates. The best way to find out if a dental implant is right for you to make an appointment to speak with Dr Jerome or one of our other dentists. During your initial consultation your dentist will need you to answer questions about your medical history. They will also perform a full examination of your mouth and remaining teeth. 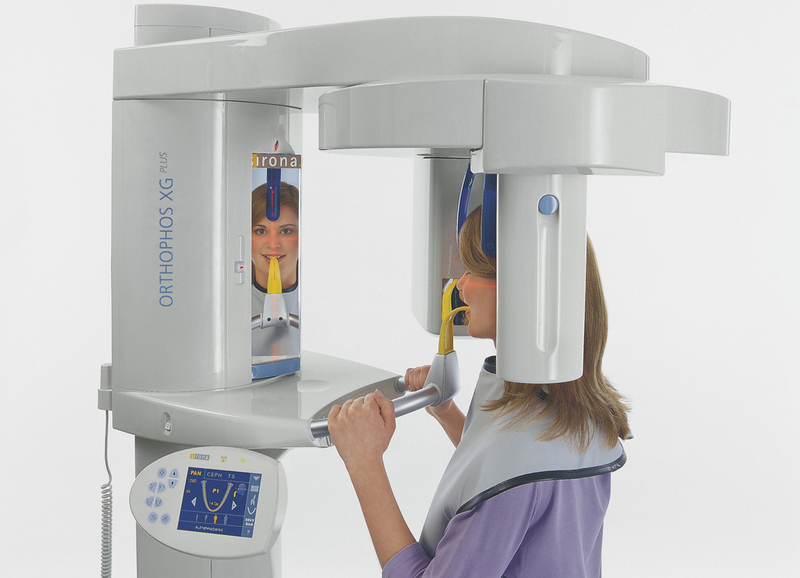 Normally, x-rays will be taken and models used to find the best position for your new tooth. At this early stage, establishing good dental health is key and this appointment will help us discover and treat any urgent problems and stabilise any gum or tooth related issues. Yes, implants are very safe and will last many, many years if cared for properly. How well you look after your implants and attend regular maintenance appointments is what will make a real difference on their life span. WILL I HAVE ANY DISCOMFORT DURING OR AFTER THE PROCEDURE? A local anaesthetic will be used so you shouldn’t feel any pain. But, as with any surgical procedure, you might feel some discomfort for a few days- usually due to the stitches and the effects of the normal healing process. Quite often, Dr Jerome’s patients report very little pain following implant placement. A specific protocol of medications is prescribed post-operatively to minimise the risk of pain or infection. HOW LONG WILL IT TAKE TO PLACE MY IMPLANT? The surgery usually takes anywhere from thirty minutes for a simple, single implant to three hours where multiple implants are required with simultaneous bone grafting. Once the titanium screw has been placed in your jaw, you will need to wait a minimum of 3 months to allow the screw to bond (integrate) with your jaw bone before we can advance to the next step. When we are satisfied that your implant has integrated properly we will make an impression of your mouth to enable us to construct your final restoration (crown) which takes around three weeks. The final fitting generally takes one hour. The term Hard Tissue refers to the jaw bones, hard palate and teeth while the bone itself falls into several different categories. The term Soft Tissue refers to the rest of the oral tissues besides the jaws, hard palate and teeth. These include the tongue, cheeks, gums, soft palate, lips and salivary glands. When teeth have been missing for a long time, the bone that once supported those teeth can shrink. If there has been significant bone loss, and implants are required, we will perform a bone graft at the time of implant placement. Dr Jerome is trained in the most up to date techniques if grafting is required. A small amount of the patient’s own blood is collected and specially treated to create a graft material that is completely biocompatible with the patient. PRGF promotes rapid healing and greatly reduces the risk of infection. WHAT IS THE BONE GRAFT MADE OF? Grafts can be derived from many different sources including mineral crystals and marine coral. Presently, Gracefield Dental uses a product produced in New Zealand call Bio-oss which is irradiated bovine bone. Bio-oss is safe and natural. WHAT IF THERE IS A LOT OF BONE LOSS? Where there has been significant amounts of bone shrinkage a ‘block graft’ may be necessary. This involves taking a small piece of the patient’s own bone from a donor site (usually from the angle of the jaw), and transferring this to the future implant site. This procedure is more intrusive and involves added time, expense and recovery. However, the need for this procedure is not very common and we always strive to perform the most minimally invasive technique. The maxillary sinus is are air spaces behind the cheekbones, on either side of your nose. Where the bone height under the maxillary sinus has shrunk to less than 4mm, a sinus graft may be required. A small window is cut in the bone above the position of the missing teeth, filled with a biomaterial and PRGF and the window closed. Once healing has completed, usually after 6-12 months, implants can be placed. In the vast majority of cases a maxillary sinus graft can be avoided. Where, the bone height under the sinus is greater than 4mm, Dr Jerome is specially trained in minimally invasive surgical techniques to place implants with PRGF and create an increase in bone height. Where gum recession has occurred resulting in long, sensitive teeth, or bone shrinkage has left the muscle fibres of the cheeks or lips pulling on the gum around a potential implant site, a soft tissue graft may be necessary. A soft tissue graft involves taking gum (usually from the palate), transferring it to the site in question and suturing it carefully in place. The desired effect is to either cover up and remodel attached gum over exposed root surfaces or release the pull of the lip or cheek from the implant respectively. It’s the closest thing to having my original tooth back. The time and money it took for my implant to be put in was well worth it. It feels completely natural and I don’t even know it’s there. The whole process was practically painless and so worth it. I never have to worry about my bridge again.